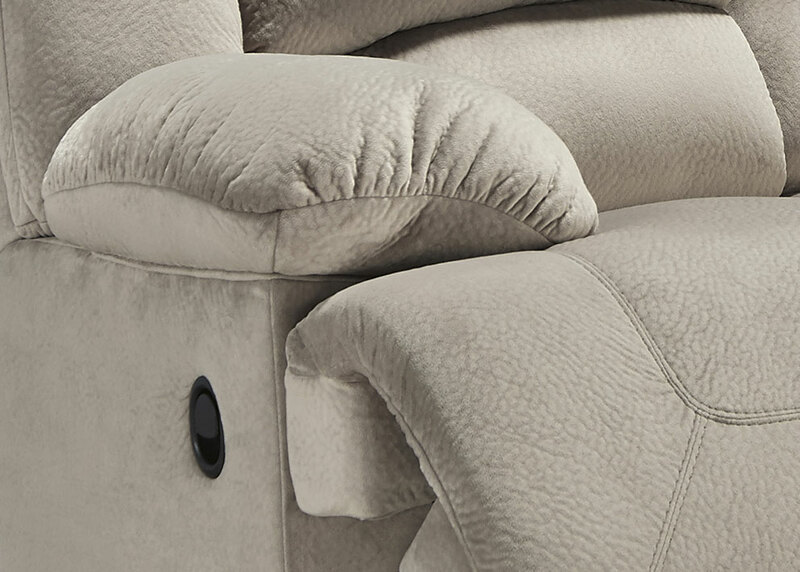 Its soft, textured upholstery in an earthy tone complements any casual contemporary decor. 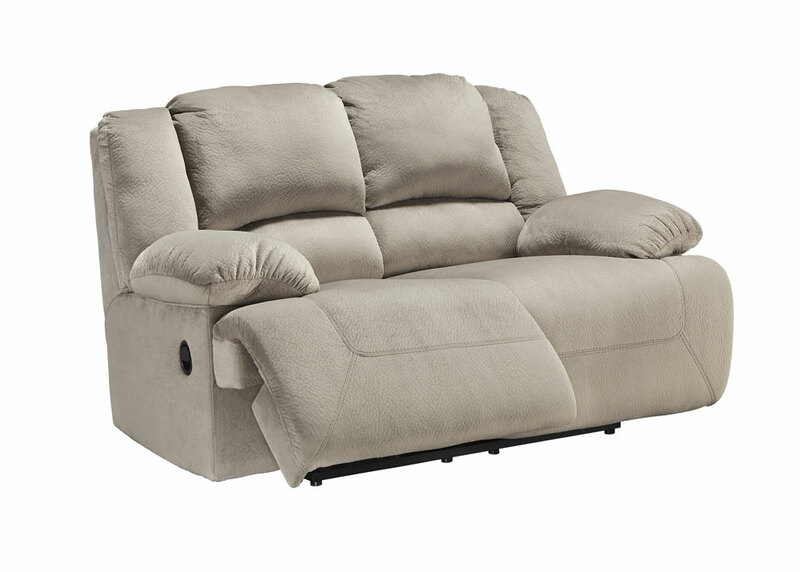 As you lounge you will be able to appreciate the comfort of the thick, pillow top arms and plush, divided bustle backs. 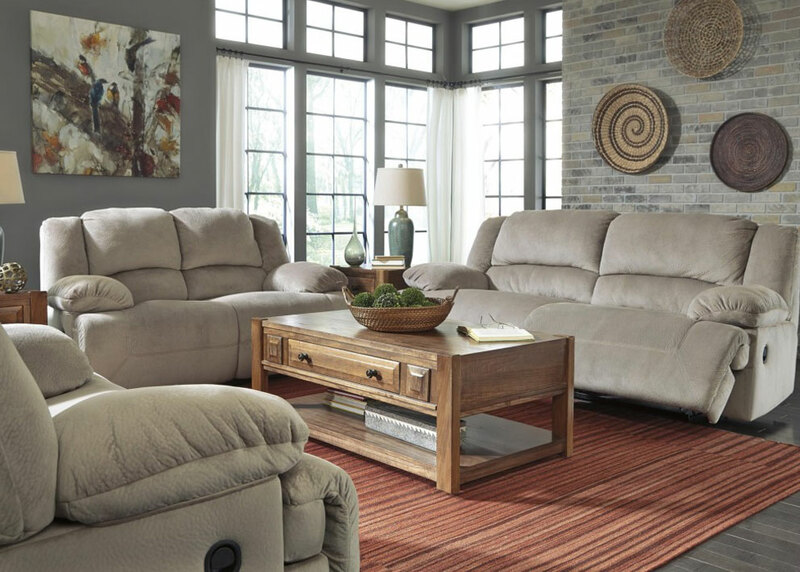 Put up your feet as you relax and recline with the pieces in this group. They are the start of a great new entertaining space.